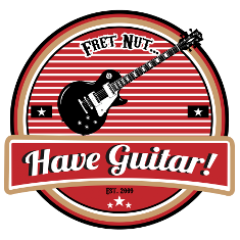 May 2017 - Fret nut... Have Guitar! Have Guitar is proud to present ReampZones Orange TH30 (Modded) profile pack for the Kemper Profiling Amp! This is one rockin’ good profile pack for yer Kemper – it would definitely get a place on my Top-10 rig pack for the KPA! So, as the name suggests this is not a standard Orange TH30, it has been modified to sound even better than the original amp does and that also makes this rig pack unique. This is a pack that is flexible when it comes to the sounds it can produce, I think it could be used for any genre really. The Orange has a great tone and sustain and even the more high gain profiles have a fantastic string separation. OK, so enough, you got it – I really do dig this rig pack from ReampZone… the pack includes direct profile (23), merged profiles (35) and studio profiles (30). Gibson SG Standard 2016 High Performance, Fender Stratocaster American Standard 2014 (Shawbucker) and Harley Benton TE70 Black Paisley (Fender Texas Specials). Hope you’ll like the video – if you do, please subscribe to support Have Guitar! Thanks for watching and thanks to all of you who allready subscribe – you’re the best! Have Guitar takes a peek at the Chorus stomps effects in the Kemper Profiling Amp. In this effects section you’ll find no less than seven chorus effects; Vintage chorus, Hyper chorus, Air chorus, Micro Pitch, Vibrato, Rotary Speaker and Tremolo – if you can’t find what you’re looking for here, it’s probably not a chorus effect you are after! All of these can be placed infront or after the amplifier (virtually speaking of course) and it makes a big difference! I’ll apply all of these seven chorus effects both infront of and ‘behind’ the amp in this video and show you some settings … hopefully in an interesting way so you will learn something about these effecs in the Kemper. Heck, might even be so that you could get something out of the video even if you still run with a real tube amp and stomp boxes on the floor. All sound examples are recorded / lined into Cubase to give you a clear sound of what it sounds like in a recording situation. Guitar used in this video: Fender American Standard Stratocaster 2014 with a Shawbucker in the bridge position and Custom 50’s singlecoils. Some say the effects in the Kemper Profling Amp are not that good but I really don’t know if I agree on that statement. Too me most of them sounds good enough or even better than that… but hey, that’s me. I’m known to prefer the digital reverb in the KPA over a real spring reverb… So, with that said… or rather, written… hope you like the video! If you do please consider subscribing to Have Guitar, I’m doing my best to publish new videos every week and hopefully I get better as I do so. Thanks for watching my videos and a Very Big Thanks to all of you who allready subscribes! Have Guitar is very pleased to present the first Kemper Rig Showcase based on a pack from SinMix: SplanPM Pack! A sweet bunch of Kemper profiles based on a Splawn Pro Mod amplifier – 51 profiles so heavy it should be a crime not get this rig pack. I’m pretty sure SinMix aims this pack for metal players, but hey there’s more to it than metal if I can have my say. Just listen (and feel free to watch it at the same time) to the examples in this video… some really nice sounds right there! This pack will be tested with the following guitars: Fender American Standard Stratocaster (HSS, with a Shawbucker), Harley Benton TE70 Black Paisley (with Fender Texas Specials) and the ESP Phoenix II. You’ll get both lined and live in the room examples and some recordings over backing tracks to present how these Sinmix profiles sounds in the mix. I hope you liked this video from Have Guitar and if you do… please subscribe to support the channel. Have Guitar publish a new video every thursday with occasional bonusvideos when there is time and material available. My aim is to produce interesting and funny videos for anything guitar related and allways be straight about the topic… if something is good it’s good and if it’s crap that’s it. Thanks to all of you who have already subscribed, your support is more than appriciated! Have Guitar proudly presents the 6th backing track – “Night Falls”, a grunge/rock backing track in A (that transcends into D), 90 BPM. This is the version with commentary, if you want the version without comments/demo see the link below. First part is recorded with a Gibson Ace Frehley Budokan Les Paul Custom through a Dumble Kemper-profile from ReampZone. The second part’s using Kemper profiles from the same pack, but the guitars used are a Harley Benton TE-70 Black Paisley and a Gibson Les Paul Standard ’76. The bass is an Ibanez 5-string bass and the drums are XLN Audio’s Addictive Drums 2. The demo solo is performed with a Gibson SG Standard 2016 High Performance and the Kemper profile comes from RempZones Fuchs Blackjack 21-pack. I hope you liked the video / backing track and if you do feel free to subscribe to Have Guitar. You know that subscribe button… just click that and Have Guitar will be eternally grateful for your support. And as always – a big thanks to all of you who already subscribe! Have Guitar is happy to present a new Kemper Rig Showcase – Tonehammers S.P.A.W.N. Quick Shot! That is 24 merged Kemper profiles from a Splawn Quick Rod amplifier and in this video you will get a good selection of these demoed! The Splawn amplifiers are handbuilt in Dallas and sound beautiful, think of a hot rodded Marshall and you are at least half way there. The Splawn Quick Rod has even three ‘gears’ named Hot Rod Plexi, Hot Rod 800 and Super Hot Rod 800 – for the profiles I do believe those gears are represented by A, B and C… but there’s unfortunately no exact info from Tonehammer on that but that seems fesible enough. So, what more to say about this pack? I think it sounds super and that goes for most of the profiles in this pack. But go ahead and listen for yourself; this selection will be varied in gain and both recorded lined and live ion the room plus some soloing to backing tracks, to give a feel of how they can sound in the mix. I hope you liked the video and if you do feel free to subscribe to Have Guitar. You know that subscribe button… just click that and Have Guitar will be eternally grateful for your support. And as always – a big thanks to all of you who already subscribe! Have Guitar zooms in on one particular Kemper profile – the Belchy Bomb 50 2 from Mbritt. This is one heck of a profile that I often return to because … it sounds great! And this video is all about that one profile from Mbritt. This profile is taken from a Bletchley Bomber 50, which should resemble something like a Marshall JMP. I’ll showcase the Belchy Bomb 50 2 with five different guitars: Gibson Les Paul, Gibson Standard High Performance, Stratocaster American Standard Stratocaster, Harley Benton TE70 Black Paisley and the ESP Phoenix II. Like this video? There’s more from where that came so feel free to subscribe to Have Guitar! As always a Big Thanks to all of you who already done that!